Section I. Name and Objectives. A. The name of this subunit of the American Fisheries Society, hereafter referred to as the Society, is the Early Life History Section, hereafter referred to as the Section. 2. emphasize concerns for the early life history of fish in the pursuit of Society objectives as set forth in Article I of the Society’s Constitution. 4. identifying critical gaps in our knowledge of the early life history of fishes and facilitating efforts to fill those gaps. A. Voting membership in the Section is open to active members of the Society interested in furthering Section objectives and is established or renewed by calendar year upon payment of annual Section dues through the Society. B. Affiliate membership in the Section is open to persons or organizations who are either affiliate members or non-members of the Society and interested in furthering Section objectives. 1. Affiliate membership is established or renewed by calendar year upon payment of annual Section dues through the Section Treasurer. 2. Affiliate members are encouraged to participate in Section meetings and activities but cannot vote on official Section matters, run for or hold an elected office, or chair standing committees. Section III. Officers, Regional Representatives, and Executive Committee. A. Elected officers of the Section are President, President-elect, Secretary, Secretary-elect, and Treasurer. 1. 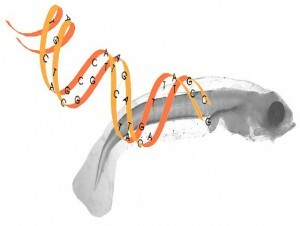 The President-elect and Secretary-elect are elected by voting members at large for two-year terms in the elect office followed by two-year terms as President and Secretary, respectively, beginning at the business meeting associated with the annual Larval Fish Conference following election. 2. 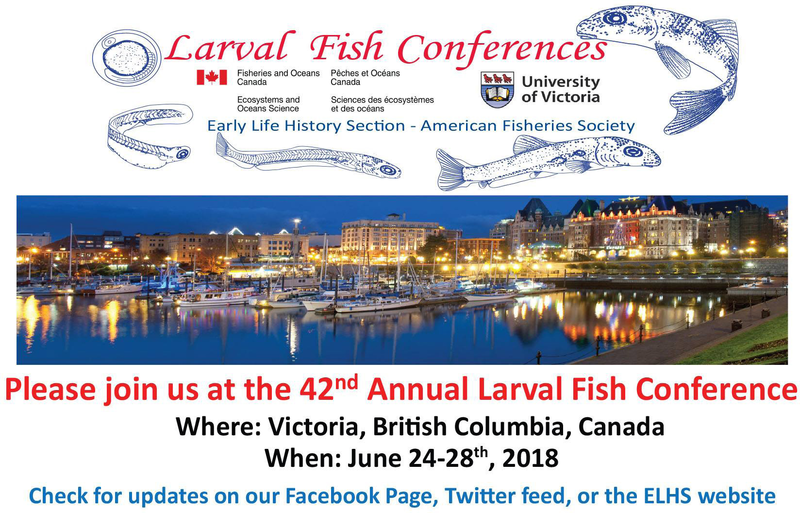 The Treasurer is elected by voting members at large for a four-year term beginning at the business meeting associated with the annual Larval Fish Conference following election. B. Appointed officers of the Section are Newsletter Editor and Historian. 1. They are appointed by the President with approval of the Executive Committee. 2. Terms of office are indefinite and end upon resignation or discharge by the Executive Committee. 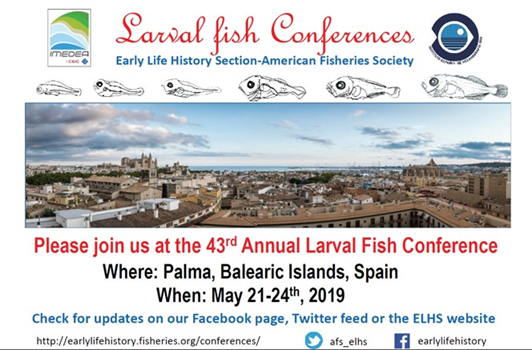 C. Regional Representatives of the Section, one from each region represented by a Society Division, are elected by voting members within their respective regions for two-year terms beginning at the business meeting associated with the annual Larval Fish Conference following election. D. Limitations, compensation, and contingencies. 1. No Section member may hold simultaneously more than one elected office, appointed office, or representative position. 2. There is no restriction on the number of terms, successive or otherwise, that an eligible member may be elected to an office sequence, the office of Treasurer, or a Regional Representative position. 3. Officers and Representatives serve without salary or other material compensation from the Section; however, expenses may be paid from funds available to the Section when authorized by the Executive Committee. 4. If new officers or representatives are not elected as scheduled, the previously elected officers and representatives maintain their positions until successors are elected for the remainder of those terms. 5. If the President-elect, Secretary-elect, Treasurer or a Regional Representative cannot complete his or her term, the President offers the remainder of the term to the runner-up for that position in the preceding election; if the runner-up cannot be reached or declines the offer, the Executive Committee appoints a replacement for the remainder of the term. 6. If the President or Secretary cannot complete his or her term, the position is filled by the person in the corresponding elect position for the remainder of that term as well as his or her own scheduled term; the then vacated elect position is filled as specified above, but the position is considered temporary and the person in the acting elect position does not assume the respective office of President or Secretary at the end of that elect position term. E. The Executive Committee of the Section is responsible for directing the affairs of the Section between annual or special Section meetings. 1. Voting members of the Committee are the elected officials of the Section President, President-elect, Secretary, Secretary-elect, and Treasurer; non-voting members of the Committee are the Regional Representatives, appointed officials (Newsletter Editor and Historian), all living Past-Presidents of the Section, and committee chairpersons. 2. The Section President and Secretary serve respectively as Committee Chairperson and Secretary. 3. Regular Executive Committee meetings of the Section are scheduled semi-annually in association with the Section’s annual conference and the Society’s annual meeting and are open to interested members. 4. The Chairperson may call for special meetings of the Section Executive Committee whenever a majority of the voting members of the Committee can meet, or he or she may conduct Committee business by telephone, mail, or electronic means if appropriately documented and transmitted to the Secretary. 5. Formal actions by the Executive Committee are decided by a majority consensus of the Committee’s full voting membership; however, non-voting members may make second, and discuss official motions. 3. represents the Section on the Society Executive Committee and submits reports on Section activities at Society Executive Committee meetings. 3. serves as chairperson of the Annual Conference Committee. 4. maintains, with or through the Section Treasurer and Society membership personnel, a current list of the voting and affiliate members with addresses and telephone numbers and, when requested, presents membership reports at Section business and Executive Committee meetings. 2. maintains, updates, and distributes the Section Handbook and Membership Directory. 5. arranges for audits of financial records at intervals consistent with the policies of the Society. 2. distributes the newsletter to all Section members and the Society Executive Committee. 2. responds to reasonable requests for archived information. 2. solicit and receive information on pertinent regional research, meetings, events, and concerns and submit this information as regional reports to the Newsletter Editor prior to the submission deadline for each regularly scheduled issue of the Newsletter. I. Additional duties for Section officers and representatives are specified in the Section Rules. A. The annual business meeting and conference of the Section is held at a time and place determined by the Section Executive Committee in consultation with the Time and Place Committee and general membership. B. A quorum at a business meeting is 10% of the Section’s voting membership. C. Matters for vote at a business meeting are decided by a simple majority of participating voters. D. The annual conference is organized and run by the volunteering local committee of the host institution and other sponsoring organizations on behalf of the Section. 1. The local committee is chaired by a Section member and guided by the Section’s Annual Conference Committee. 2. The conference is a continuation of the formerly independent but strongly associated annual Larval Fish Conference. 3. other business deferred by the Executive Committee to the voting membership between annual business meetings. B. Ballots are prepared under Executive Committee direction, mailed, received, tallied, and reported by the Nominations and Mail Ballot Committee. C. Except for proposed amendments to the Bylaws, which require a two-thirds majority, matters for vote are decided by a simple majority of participating voters. D. Tie votes are reballoted unless the Section Executive Committee finds reballoting to be impractical, in which case the Committee votes to break the tie. A. The members and chairpersons of Section Committees are appointed and discharged by the President, except as otherwise provided in these Bylaws or Section Rules. 1. Membership on a committee is indefinite, unless otherwise specified herein, in Section Rules, or by the President; however, periodic change is recommended to promote fresh ideas and involve more members in committee work. 2. Affiliate members may serve on and vote within committees, but may not chair standing committees. B. Committee chairpersons submit reports at annual business meetings and at other times upon request by the Section President. C. Standing committees, aside from the Executive Committee. b. solicits nominations of candidates for office from the membership, nominates additional candidates as necessary for a full ballot, and verifies nominee eligibility and willingness to serve. c. prepares, mails, receives, and tallies all biennial election and irregular issue ballots and reports results to the Executive Committee, including the Newsletter Editor for publication and Historian for inclusion in the Archives with the tallied ballots. b. solicits or generates competitive proposals for future sites of the annual conference and business meeting and offers recommendations for consideration by the Executive Committee. c. prepares and updates guidelines and recommendations for future conference hosts and local committees. D. Sessional, less permanent, committees, but not short-term ad-hoc committees, are specified in the Section Rules. A. The annual dues are determined by the Executive Committee based on expected expenditures. B. Special fees may be levied by the Executive Committee to meet additional expenses. C. All monies due the Section are paid in U.S. dollars or by check or money order for the same. A. The Rules of the Section provide protocols and procedures for implementing these Bylaws, define additional duties of officers or charges of committees, and establish sessional committees, but may not conflict with or supersede these Bylaws. 2. implemented upon approval by a simple majority of the voting members of the Executive Committee or the Section membership participating in a mail ballot or annual business meeting. 3. implemented upon acceptance by the Society Executive Committee to assure conformity with the Constitution, Bylaws, Rules, and Policies of the Society, and receipt of written notice of Society approval by the Society Executive Director.